Political cartoonist Zulkiflee Anwar Ulhaque, known as Zunar, faces nine charges under the Malaysian Sedition Act for tweets with political content he sent. The charges could carry a potential penalty of 43 years in prison. 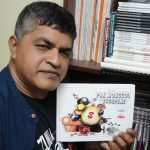 Furthermore, five of his books have been banned on the grounds that they are “detrimental to the public order.” After being arrested in 2016, Zunar has been released on bail while awaiting his court date. In September 2017, the U.N. Special Rapporteur in the field of cultural studies, Karima Bennoune, visited Malaysia. In her preliminary report after the visit, she raises the issue of the Sedition Act charges and travel ban against Zunar and calls for both to be dropped. 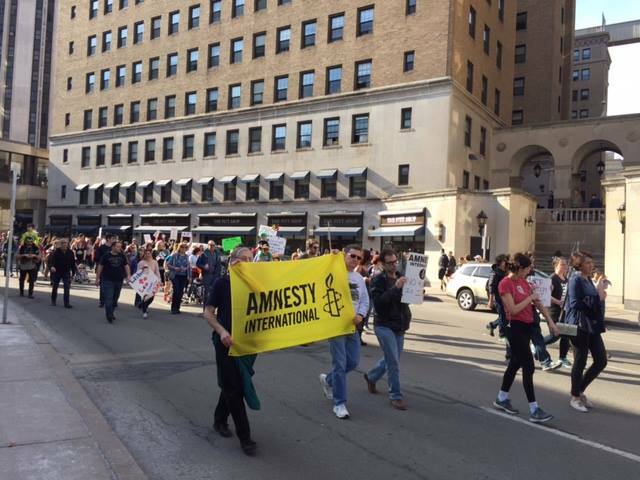 Amnesty International Group 39 is holding a lobbying workshop event on October 4 from 7:00 – 8:30 PM at Calvary Episcopal Church in Shadyside. See event flyer. The event is aimed at people who would like to learn more about the lobbying process and would like to hear from some of us about our recent lobbying experiences. On Feb 18, members of Group 39 added their voices to the Pittsburgh Solidarity Rally and March organized by Pitt College Democrats. The aim of the rally was to show support and solidarity with marginalized groups. 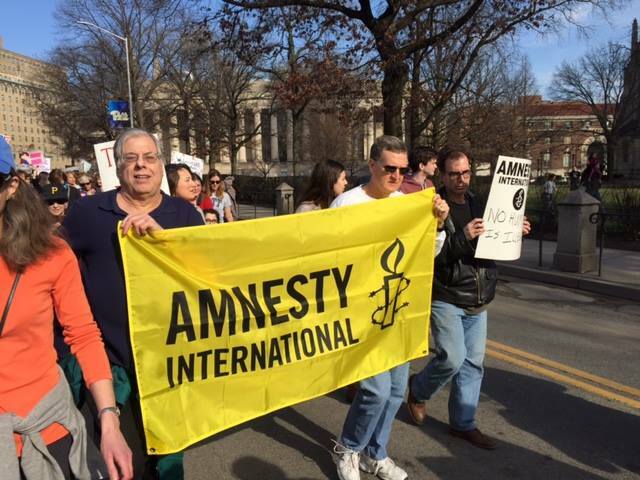 Join Amnesty International Pittsburgh (group 39) and many other inspiring Pittsburgh rights groups and community leaders on Wednesday, December 7, 2016 for our annual Write-a-thon and Human Rights Festival. Held from 6-9 pm at Calvary Episcopal Church, this year marks the 30th annual gathering, during which you contribute to writing between 500 and 1000 letters on important human rights cases of our time. Stop in and stay as long as you can. Write letters. Talk to other activists. Check out information tables about local groups working in Pittsburgh on local, national and international issues. Fortify yourself with the free refreshments. Candlelight Ceremony and City Council Proclamation at 7:30 pm.